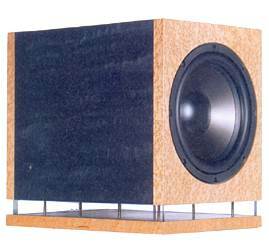 The Subwoofer AWM 12 developed by Bernd Timmermanns features a splendid bass reflex cabinet and is equipped with an extremely low extending Mivoc AWM 124 bass driver, driven by a AM 120 amplifier module. 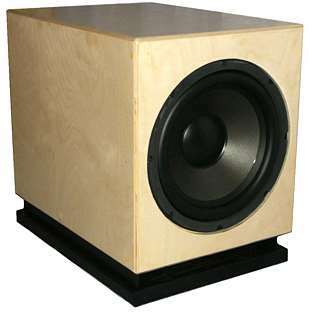 The bass reflex tube of 50 cm length is integrated into the cabinet base. Inside, there are 8 bracing panels limiting the vibration to an absolute minimum. The outside of the cabinet is of a lavish slate design. Please adapt the cut-out for the amplifier module in the building plan. The module has been changed because the old one (AM 120) is no longer available.